In February 1929 the Provincial Cinematograph Theatres Co Ltd was taken over by Gaumont-British Picture Corporation who became the new owners of the Palace Theatre at the Triangle, on the corner of South Street and Stars Lane. The Palace Theatre closed at the end of the first week in April 1934 and demolition began immediately in readiness for the erection of Gaumont's new cinema. The new cinema, the Gaumont Palace, was designed by Gaumont's chief architect, WE Trent, who managed the building project, assisted by Gaumont's chief Engineer, S Hart, who was responsible for the electrical installation. Having obtained all necessary permissions and licenses, construction of the new cinema got under way with an opening for the new cinema scheduled for December. In June however work was abruptly halted by the Justices Licensing Committee who ordered the work to be stopped because they had reached a new decision relating to emergency exits. As a result, the sixty six Yeovil men who were engaged on the project were dismissed and the building works stopped indefinitely. Only four or five men were retained to deal with material for the building that was to arrive by train. The Gaumont architect met with the Licensing Justices a week later and the matter was resolved when new plans were presented. The workforce was re-engaged and the building works proceeded once more. 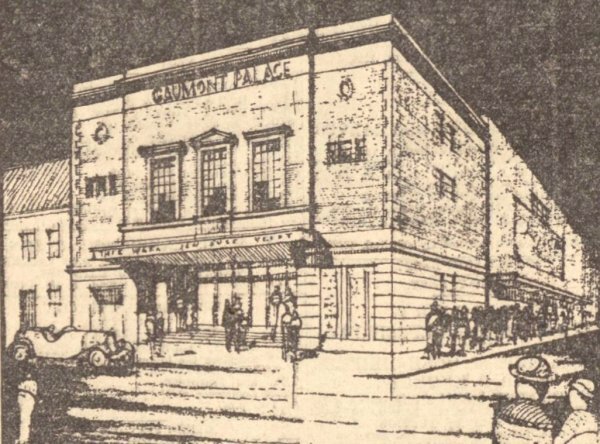 Work was completed on schedule and the new Gaumont Palace Theatre was opened as a Gaumont-British "Wonder House of Entertainment" on Saturday 15 December 1934 by the Mayor, Alderman AHJ Stroud. 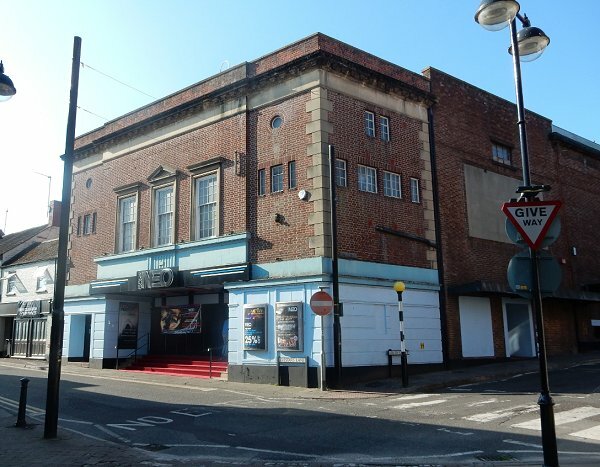 The Western Gazette was effusive in its description of the new theatre which it glowingly described as "one of the most luxurious picture theatres in the provinces". The feature continued "Capable of seating an audience of one thousand four hundred, the cinema represents the latest development in modern architecture. Externally, however, the building has been treated on restrained lines, and the main front, faced with multi-coloured Fareham red bricks and dressings of reconstructed Ham Hill stone, has been carried out on Georgian lines in keeping with other large buildings in the town. Neon lighting and the other night illuminations will give it a bright and imposing appearance. In place of the old 'circle' (an overhanging balcony) the 'stadium' type of planning has been employed, the rear portion of the auditorium being arranged in a series of stepped tiers, reached by a short flight of steps from the auditorium itself (with 384 seats on the raised stepped area at the rear, and 811 on the main floor). A mother-of-pearl effect has been given to the ceiling, while the walls are covered with tapestry of modern design in contrasting shades of blue and gold, with fluted pilasters at intervals. Instead of the old two houses nightly system, the show will commence every afternoon at 2:30pm and carry on continuously until 10:30pm." 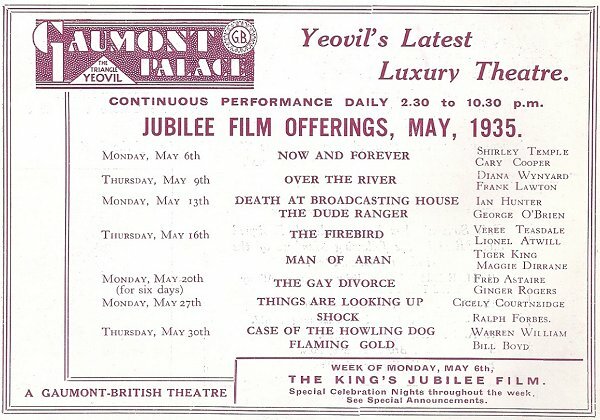 During the 1940s and 1950s young English film stars and starlets occasionally visited Yeovil to promote their films, their film companies and themselves. Michael Rennie appeared in person at the Gaumont in Yeovil on 7 September 1945, also visiting a couple of local factories afterwards. In July 1948 Diana Dors appeared at the Yeovil Gaumont Palace. 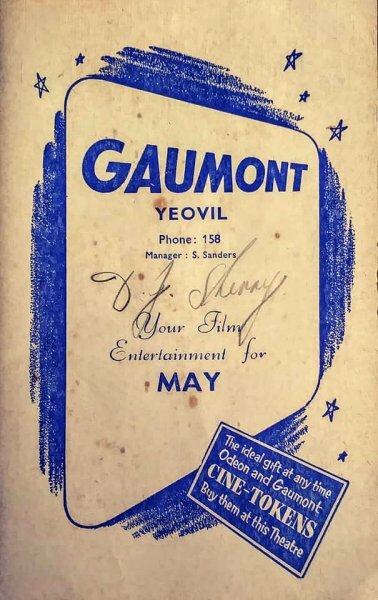 Also in 1948 the actress Peggy Evans was in Yeovil at the Gaumont Palace on a West England promotional trip for her film 'Penny and the Pownall Case' (which also featured Diana Dors) and also for the Gaumont British Cinema Junior Club. In 1947 J Arthur Rank, a director of Gaumont British, bought all the Gaumont cinemas. 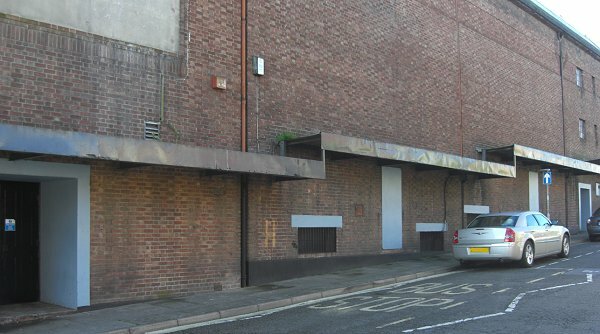 Rank was already running the Odeon cinema chain, including the Odeon cinema in Yeovil, but the Board of Trade insisted that the two chain remained separate. At this time the Gaumont Palace was renamed the Gaumont. 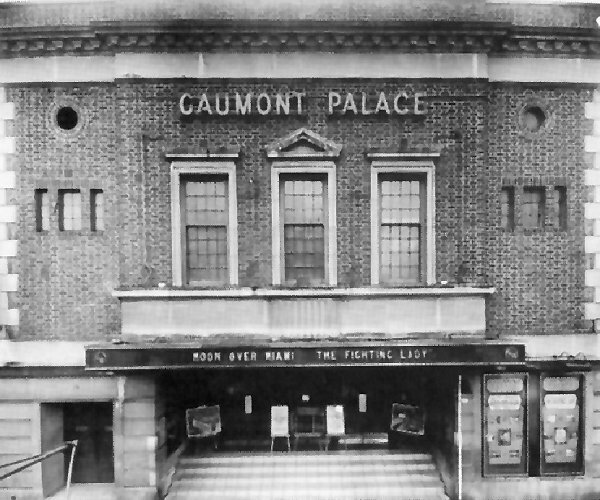 In November 1967, the Gaumont was one of a batch of cinemas sold by the Rank Organisation to the Classic Cinemas chain, and the Gaumont was renamed the Classic Cinema. Bingo was introduced on several days a week, and proved so successful that the Classic finally ceased to show films in November 1972. It was at this time that the Classic name was transferred across to the town’s Odeon, which Classic Cinemas had just taken over. The former Gaumont Palace became a Vogue bingo club, later taken over as a Mecca bingo club in the 1980s. It became the Welcome Bingo Hall in 1997 and later operated as an independent Top Ten bingo club. 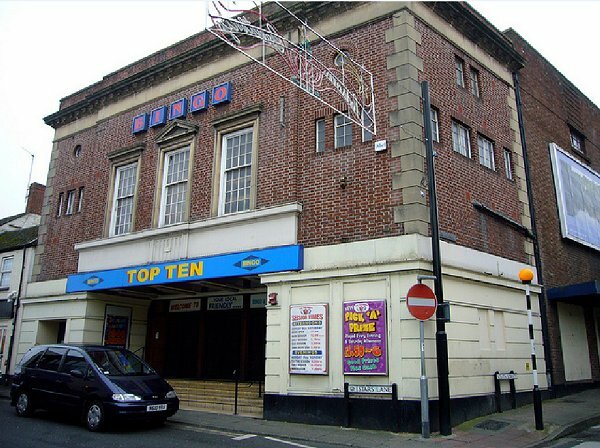 It closed as a bingo hall on 4 October 2009 and reopened as a nightclub in 2010. Advertisement for the official opening of the Gaumont Palace. To see the full size ad click here. The Western Gazette's artist's impression of the new theatre from its front page. A souvenir brochure of the opening of the Gaumont Palace of 19 December 1934. The film offerings at the Gaumont Palace for Jubilee Week, May 1935. 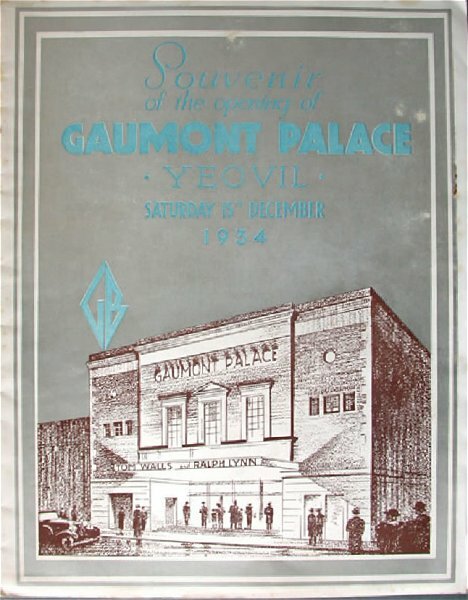 An advertisement from the special Yeovil Jubilee Souvenir Programme. During the Second World War the Gaumont Palace was camouflaged by painting it to look like residential buildings. The camouflage remains to this day on the southern elevation facing Summerhouse Hill as seen in this photograph taken in 2013. The Gaumont Palace photographed in 1945. 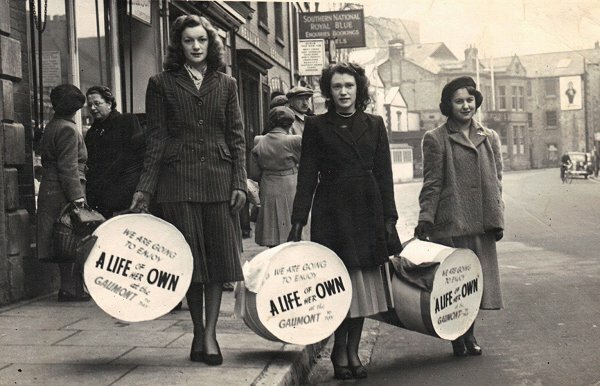 An advertising campaign in Middle Street in 1950 promoting 'A Life of Her Own' starring Lana Turner and Ray Milland at the Gaumont. Many thanks to Alex J Frost for the following - "That's my wife's mother on the left, Maureen Chant, and it could be Iris Moon in the middle. Maureen worked at the Gaumont where she met her future husband Dennis Isaacs they got married in 1952. He went on the buses and Maureen then went to the Odeon after my wife Julie was born 1954." 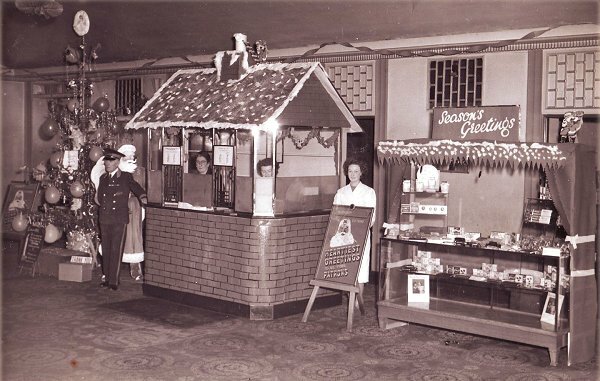 It was a 'Merry Christmas' at the Gaumont Palace during the 1950s. 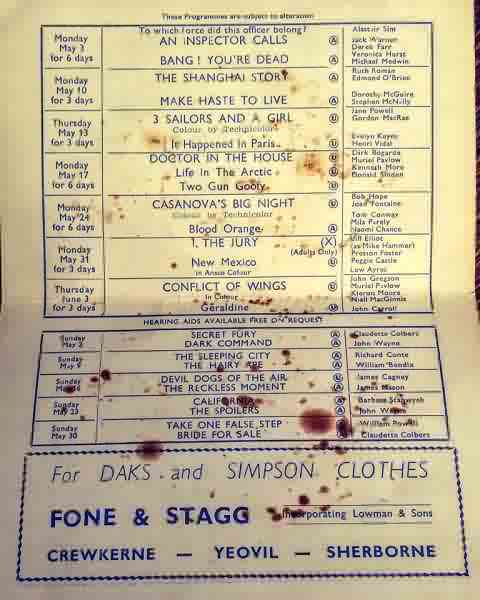 The front of a monthly list of film showings from 1954. .... and the films being shown at the Gaumont Cinema in May 1954. 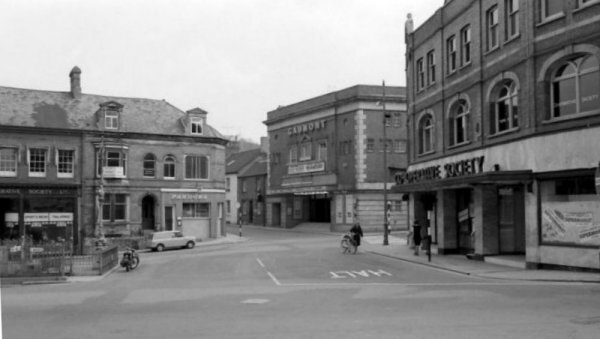 Looking across the Triangle in this 1960's photograph towards Stars Lane and South Street. By this time the name of the Gaumont Palace had become simply the Gaumont. 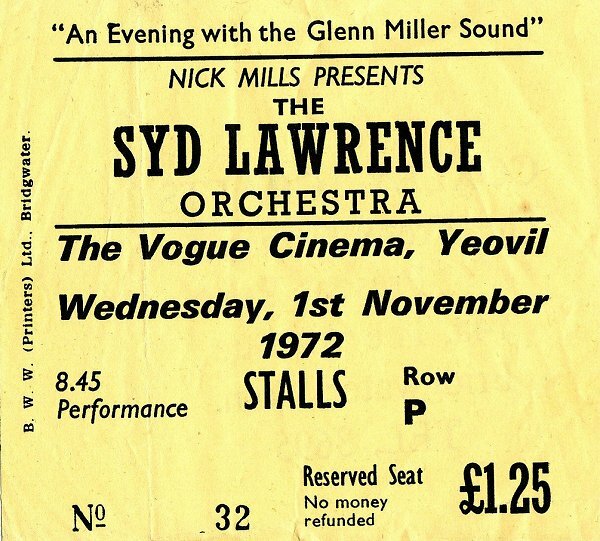 My mum and dad had several Syd Lawrence LPs in the 1970s. But do you remember the Gaumont being called the Vogue Cinema? 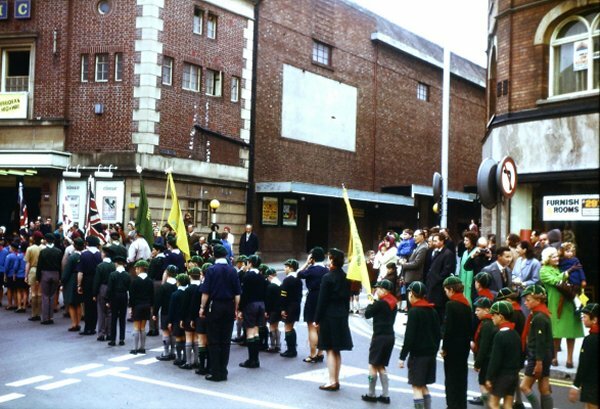 The St George's Day parade of the Yeovil Boys' Brigade, Scouts, Cubs, Guides and Brownies had traditionally ended at St John's church but by the time of this photograph of 1968 the church had become too small to hold all those attending the service. Consequently the service was held in what was then the Gaumont cinema, simply because it could accommodate the large numbers of people involved in the parade. The photograph shows the parade at a halt as it filters into the Gaumont Cinema, at this time called the Classic Cinema. 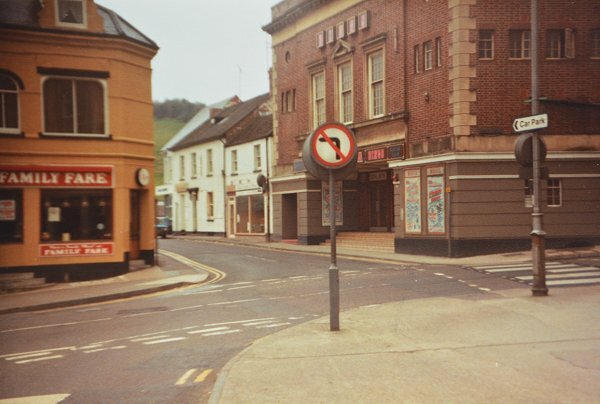 Stars Lane photographed from the Triangle in 1983. At this time the old Gaumont Palace was a Mecca bingo hall. The Gaumont in its guise as the Top Ten bingo venue during the early 2000s. The old Gaumont Palace building, now a nightclub. Photographed in 2015. The canopy to protect queuing patrons from the weather still survives along the South Street elevation of the building. Photographed in 2015.